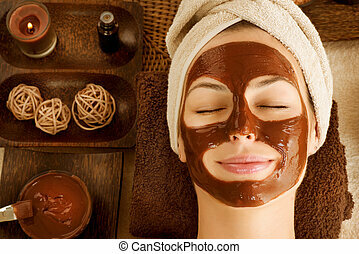 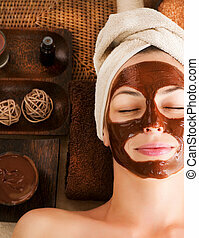 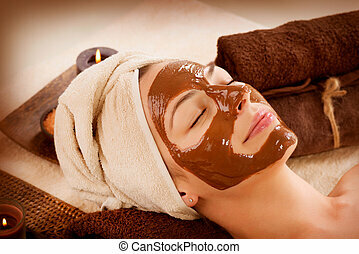 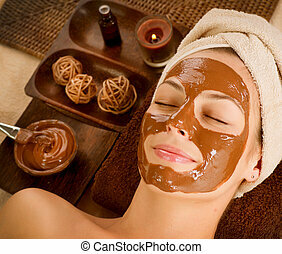 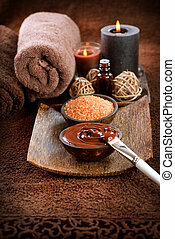 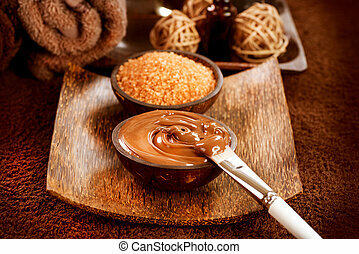 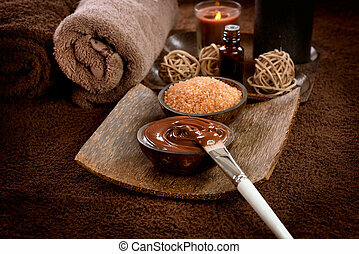 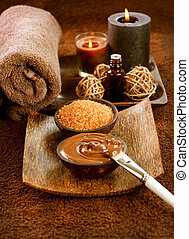 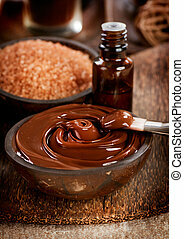 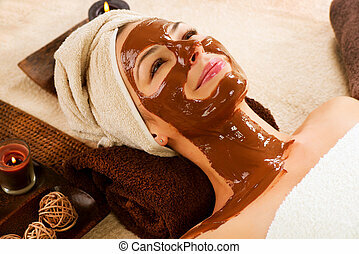 Chocolate mask facial spa. 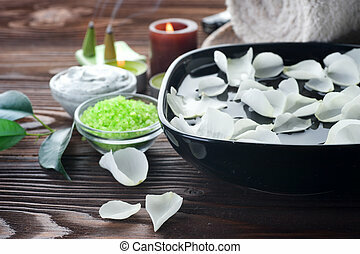 beauty spa salon. 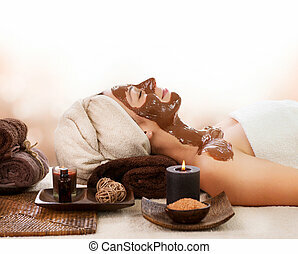 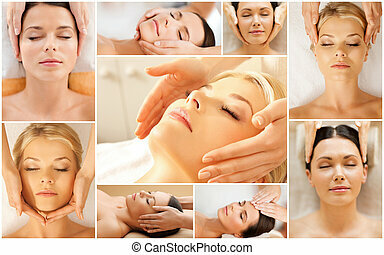 Beauty treatment concept. 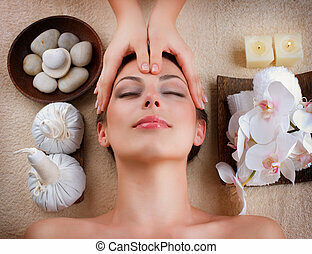 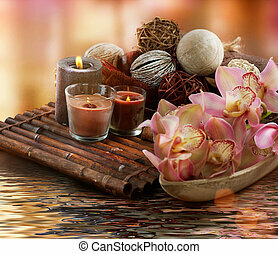 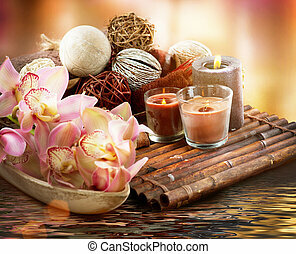 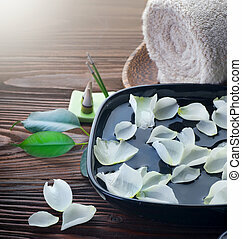 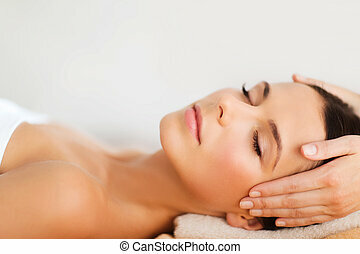 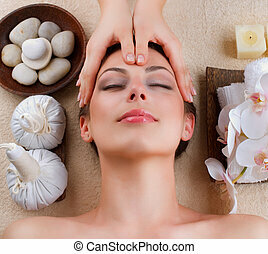 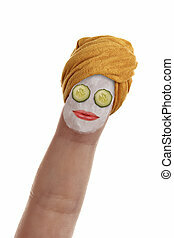 Woman relaxing in spa salon. 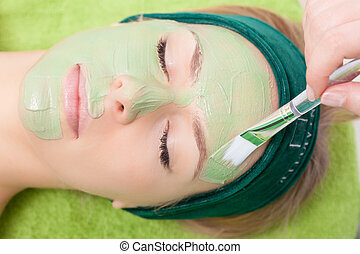 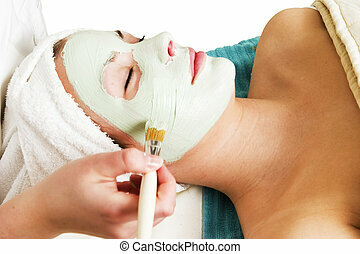 Cosmetician applying clay facial mask at female face. 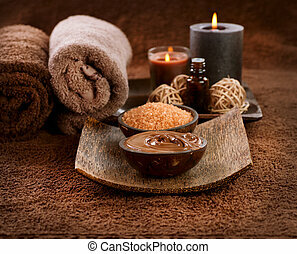 Body care healthy lifestyle. 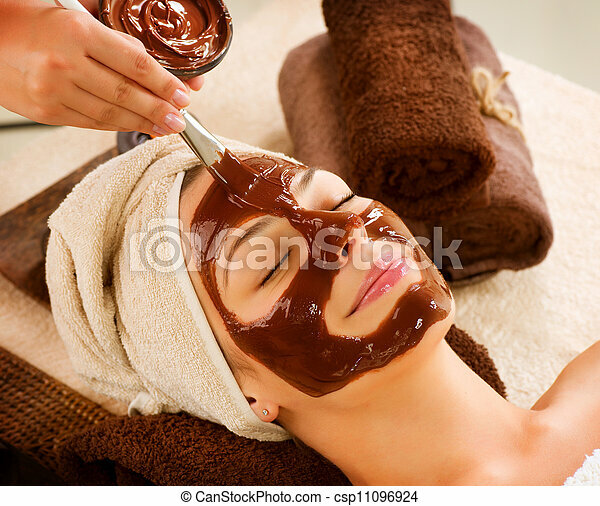 Beauty treatment concept. 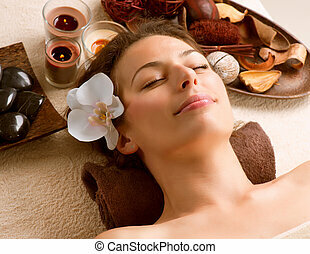 Woman relaxing in spa salon. 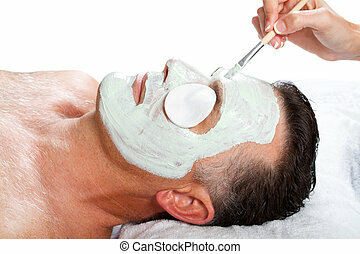 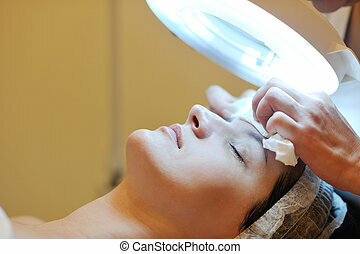 Cosmetician removing clay facial mask from female face. 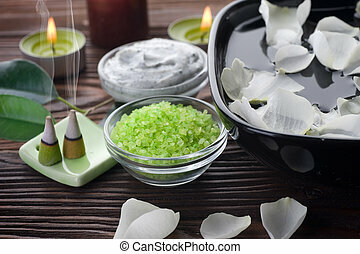 Body care healthy lifestyle. 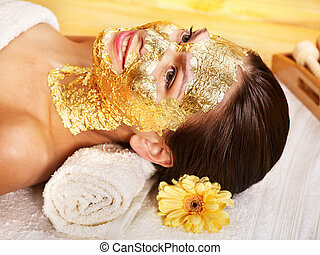 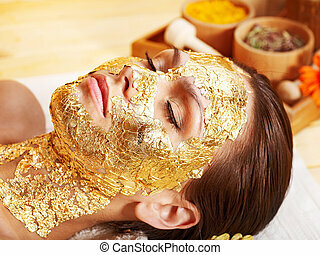 Woman getting gold facial mask.